Have you been looking for a better way to purchase toys online from the US and have them delivered to your doorstep in the Philippines? Traditionally we have relied to our local postal services to do the job but it usually take 30 to 45 days until you get a parcel claim notification. Unfortunately sometimes they never arrive for unknown reasons. It’s true. It happened to me twice already. Another problem for online buyers is the terror of the Philippine Customs taxes that are imposed during the claiming of their parcels. Based on other online bloggers and forums, any item that has a value below $50 are exempted from being taxed but that’s no guarantee if you’re regional post office has customs magicians. Why? Because they make magical tax computations. I'm not discouraging you from using our local postal services and there are still very good custom officials out there like in Novaliches. I'm just giving you another choice. Fortunately, these factors are already covered by Johnny Air Cargo. They are a dedicated Philippine parcel service that provides a way to send packages from the USA to the Philippines. Johnny Air has US branches in New York, New Jersey and California while in Metro Manila, they have at Megamall, Makati and Buendia. By the way, if you're new to buying toys online, this online buying guide can help you. 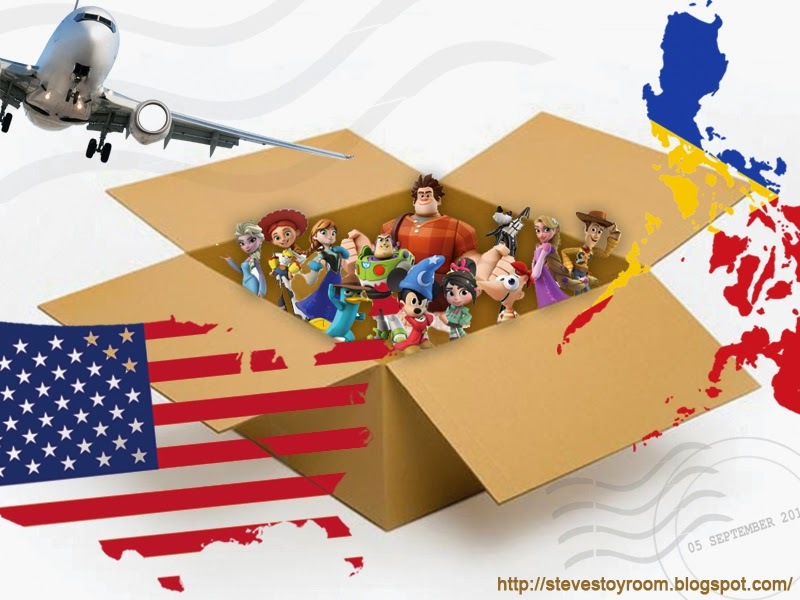 Now let’s start buying your favorite toy online with our new US to the Philippines shipping method. For example you have decided to buy an item from ebay and the seller is from the US. 1. You will need to choose one from any of Johnny Air Cargo’s US shipping addresses. This will be the temporary address where your seller will ship your item. 2. Contact the seller how much will they charge for the US shipping. If they ask you where, just select 1 from Johnny Air’s US shipping addresses. 4. When you have paid the total charges, it’s important that you get the tracking number from the seller. Usually sellers use USPS shipping service to send your parcels across the US. Here is an example of USPS tracking website where you'll be using the tracking number. 5. 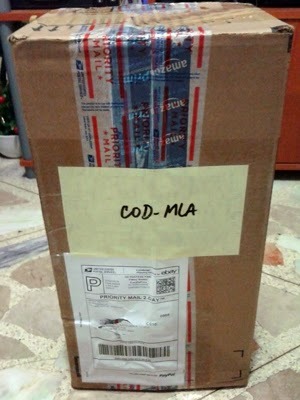 Send an email to jac-mnl@johnnyair.com that you are expecting a package. Let them know if you prefer door-to-door delivery or pickup at their Megamall or Makati branch. Don’t forget to include the tracking number provided by your seller. 6. Once Johnny Air receives you parcel in the US, they will email you for a new tracking number for your parcel’s US to the Philippines status update. They will also provide you with the shipping charges. Here is an example of Johnny Air tracking website. 7. When your package arrives in Manila and you already got a notification from Johnny Air, don’t forget to bring at least two valid IDs upon claiming. The same goes with the door-to-door delivery. From my experience, it only took 10-15 days from the original transaction up to the claiming stage. Now remember this, Johnny Air has a minimum charge of P800 for parcels below 2 pounds. This may vary depending on size and weight. 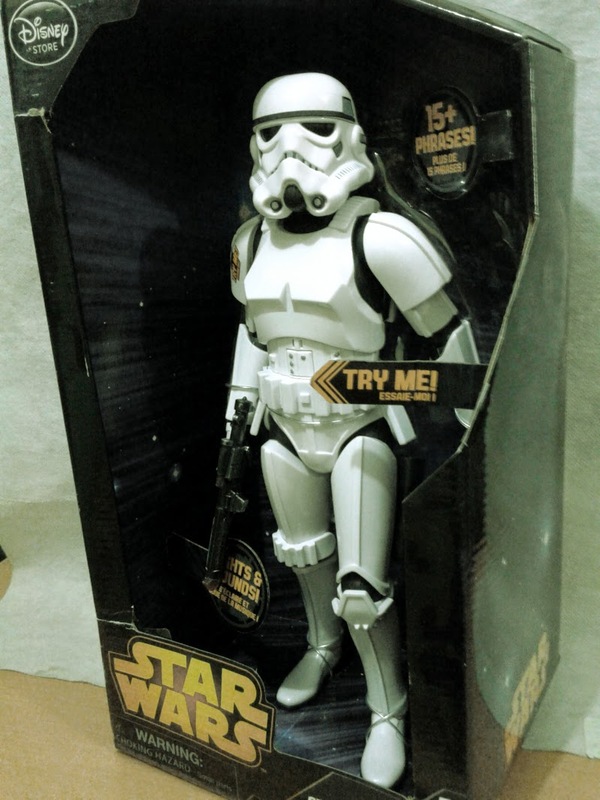 To give you an idea, I remember paying almost P1400 upon claiming my 13” boxed Disney Talking Stormtrooper that weighed almost 3 lbs. If you want Johnny Air to just deliver it to your house, you just add approximately P200. This is what it looks like when I got my package. The Stormtrooper is still in good condition out of the box. Even if you're just in the planning stage of buying, you can send the link of the product listing ad to Johnny Air for a quick estimate of the shipping charges. Some of you may think it’s a bit pricey but if you really want to get your precious action figure or spaceship to the earliest and safest way possible, this method is a great choice.